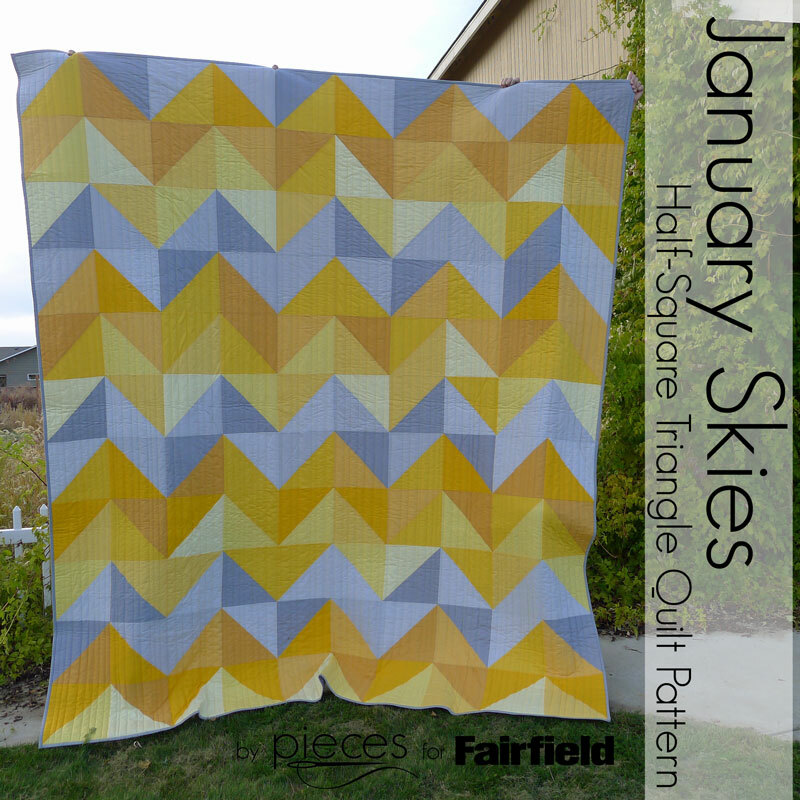 Even though I designed this quilt over the summer, I'm sharing it now because it makes me think of January Skies...all sorts of shades of grey, with some yellow sunshine peaking through...with the light sometimes fractured through ice crystals on the window panes. Through the grey there's lots of promise of a new year starting. Many thanks to Fairfield World for providing me with their amazing batting and compensating me for this post to bring you all a bit of sunshine. This pattern was designed using EQ7. All ideas, opinions, enthusiasm and fabric used in this post are 100% provided by me. This post contains affiliate links to support my creatively and allow me to bring you more projects. If you feel the same way, this pattern might cheer you up and keep your hands busy while you're waiting on Mother Nature. It would work beautifully with other colors schemes too. I used yellow and grey because this was a gift for my sister-in-law and her new husband, and we wanted to use their wedding colors. This is also a great pattern for beginning sewist who want to make a really large quilt. 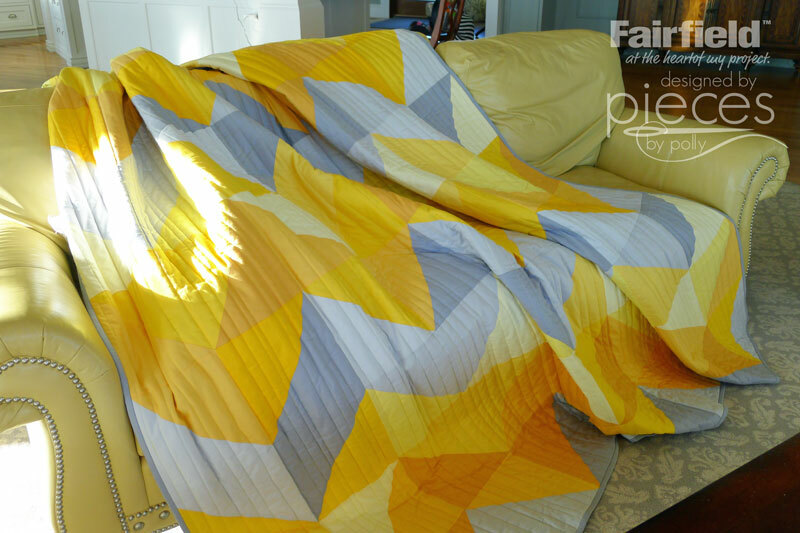 It uses basic blocks and goes together quickly to make an over-sized queen quilt. 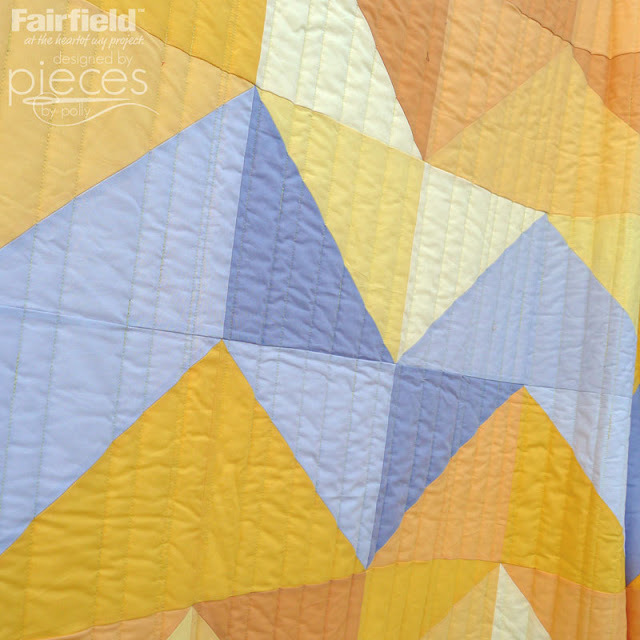 Queen-sized quilts are a bit unwieldy in a home machine, but the simple straight-line design could definitely be done on a home machine. However, I hired Charisma of Charisma's Corner to quilt this one. You'll need three to four shades of grey and 7 shades of your color. I divided them into 3 lighter shades and 3 darker shades with one more middle shade that I used with both the light and dark shades. 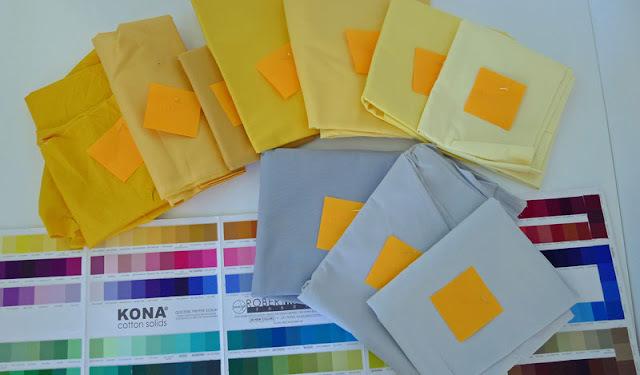 I chose my colors using a Kona Color Card before ordering my fabrics online. 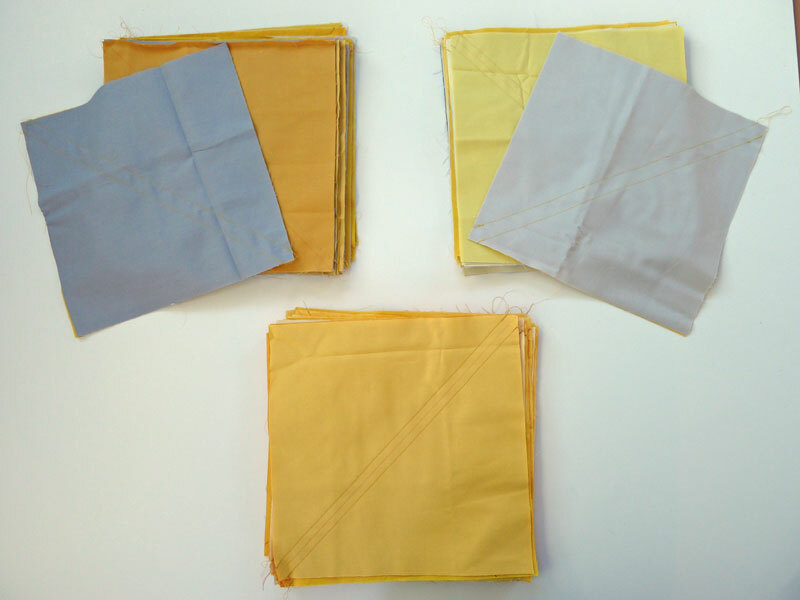 (I don't have a fabric shop with a big enough selection of solids to choose mine in the store.) If you decide to go with different colors, I strongly recommend using a color card and not online images to choose. 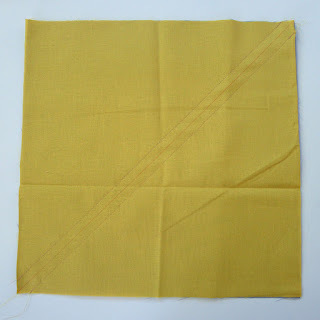 Corn yellow (1089) Corn yellow is my cross-over color. 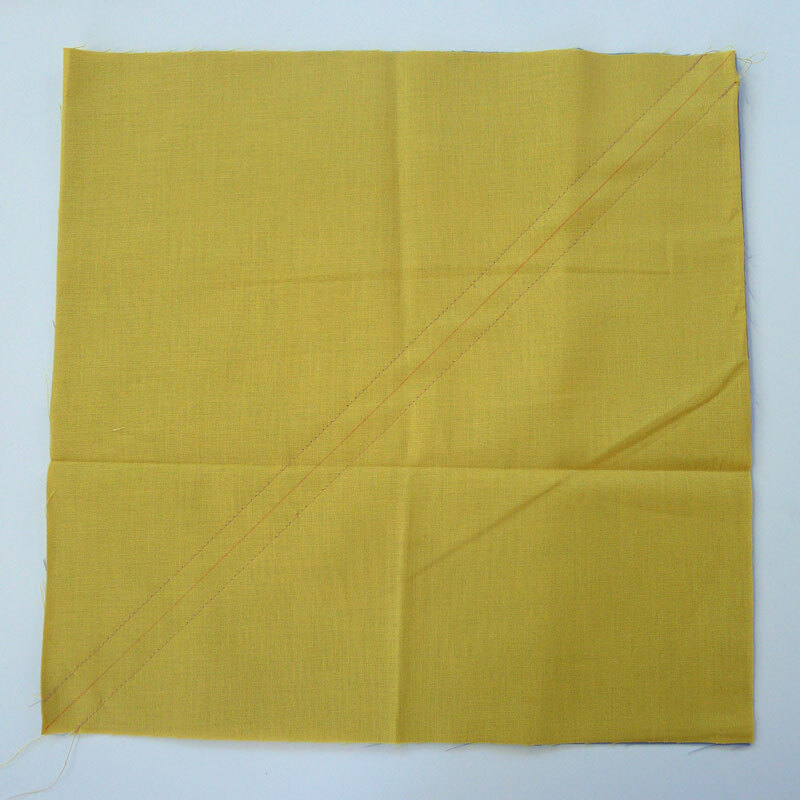 1 yard binding fabric. I used the Kona in Iron Grey. 1 Pack KING SIZE batting 120" I used a combination of Quilters 80/20™ Batting 120″ X 120″ layered with Poly-Fil Low-Loft® Batting 120″ X 120″ One layer of batting is adequate, but the second layer allows the quilting lines to show more. I STRONGLY RECOMMEND keeping your squares labeled through the whole cutting and sorting process. Some of the shades are similar enough that you. Divide each color of squares into the following stacks. 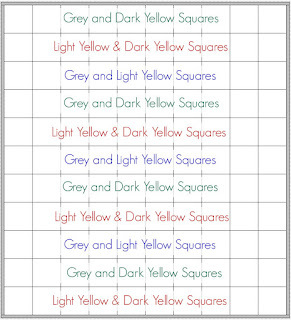 Your first stack should have 15 squares each assorted grey squares and assorted LIGHT yellow squares. Your center stack should have 20 squares each assorted LIGHT yellow squares and DARK yellow squares. 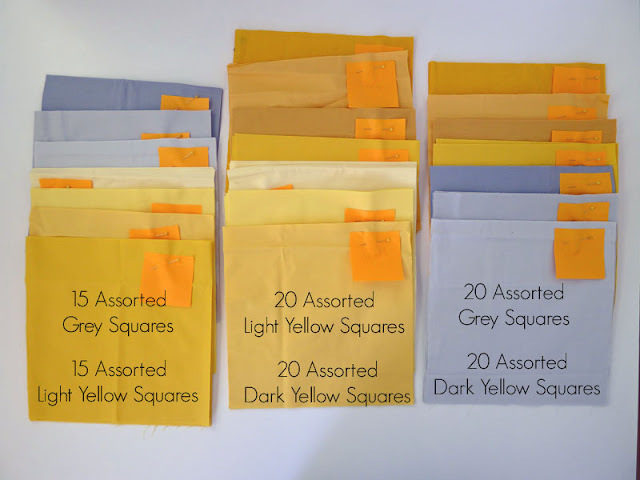 And your third stack should have 20 square each assorted grey squares and assorted DARK yellow squares. 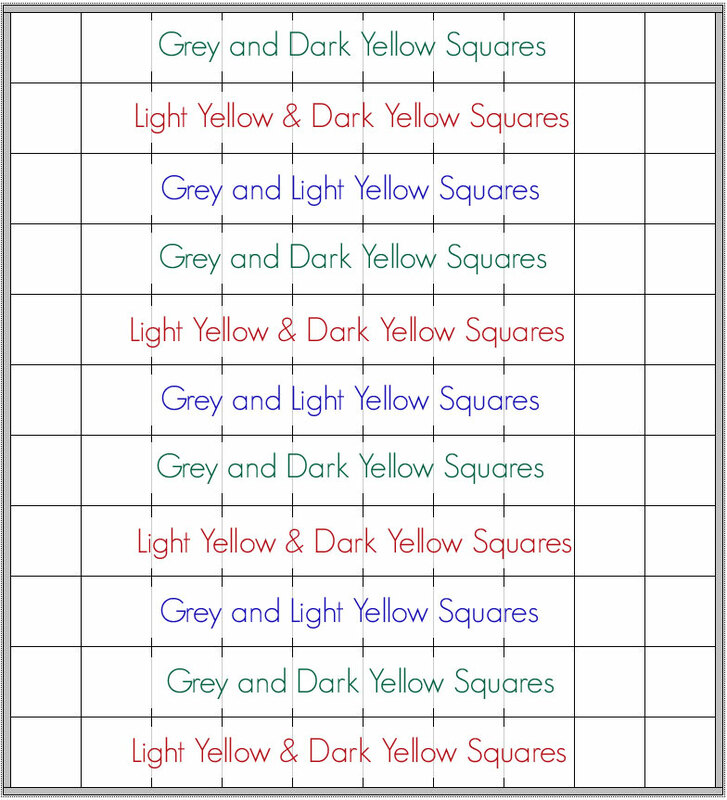 Pair half of your grey squares with half of your LIGHT yellow squares. I strongly recommend keeping your fabrics labeled at this step. 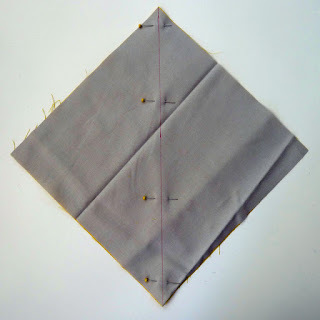 Stitch 1/2 inch to EACH SIDE of the marked line. DO NOT sew on the line. Cut down your center marked line. This will give you two Half-Square-Triangle Blocks (HSTs). Press your HSTs. 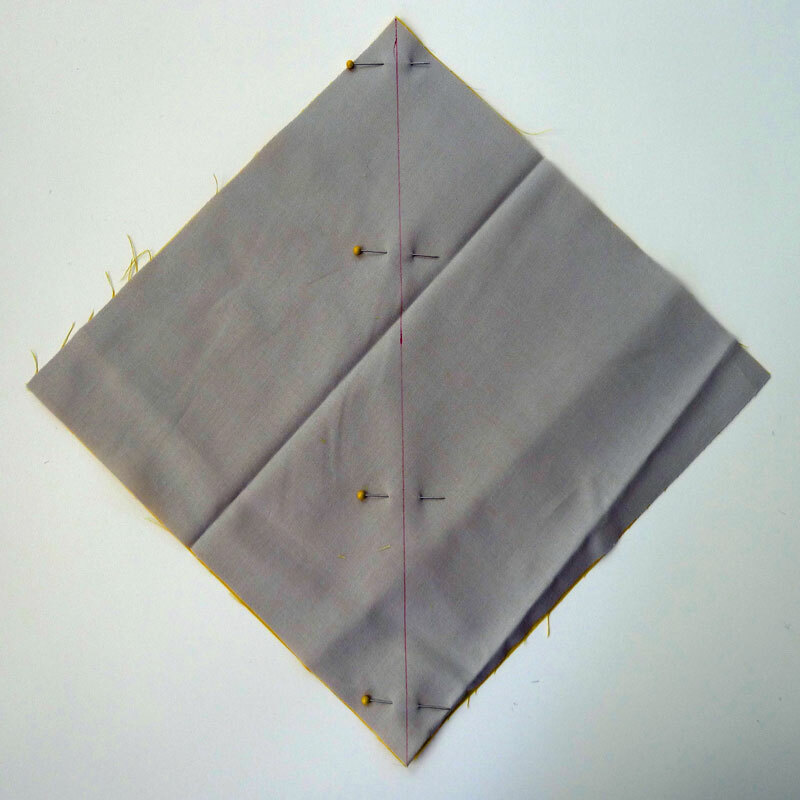 I like to press my seams open, although many quilters prefer pressing theirs to the sides. Keep your three types of blocks separate. 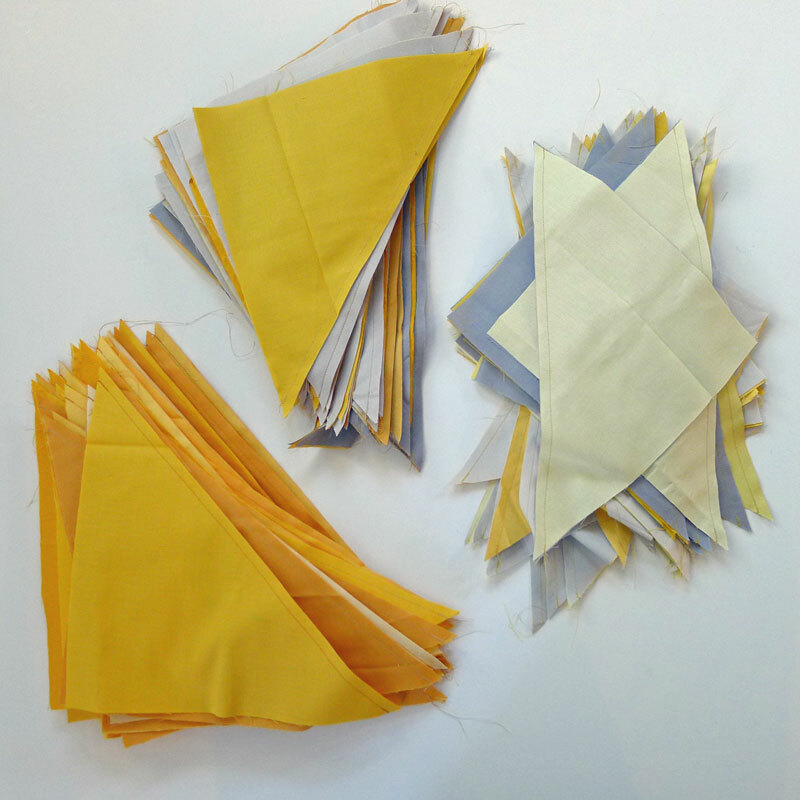 (Grey with Light Yellows, Grey with Dark Yellows, and Light and Dark Yellows). 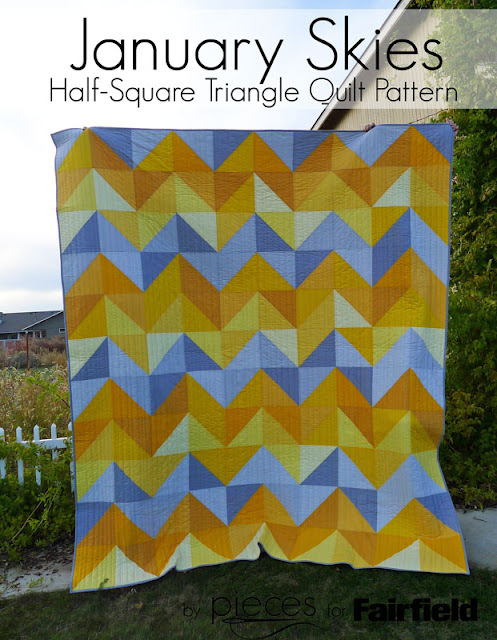 Now you're ready lay out your quilt. 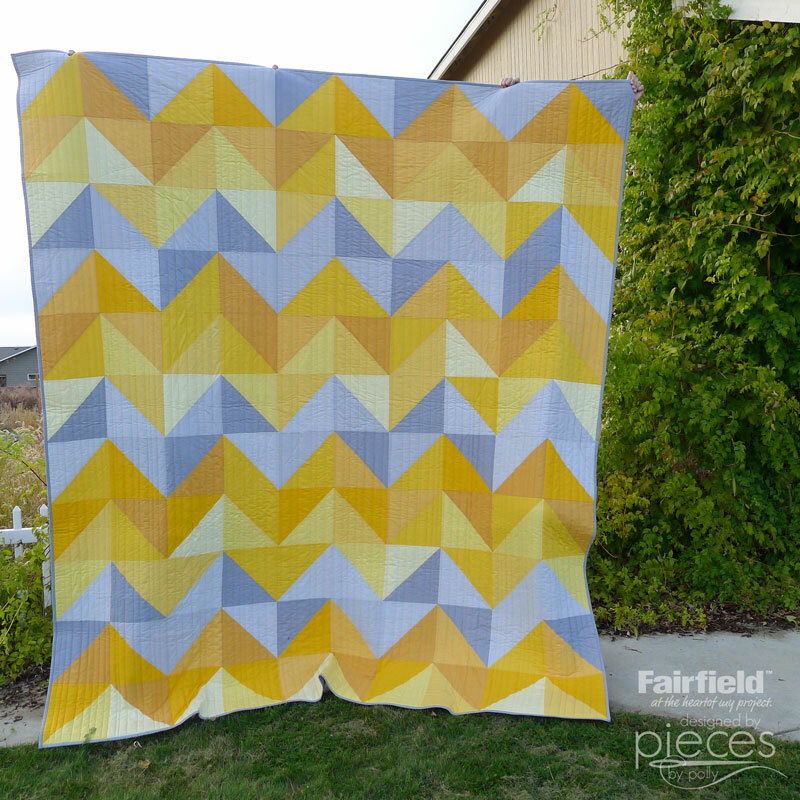 I chose to lay out my quilt, so that the greys make a chevron pattern, and the dark and light yellows make a less obvious chevron pattern, although you could arrange your blocks to make a more fractured pattern by turning some of the blocks different directions. This pattern was designed using EQ7. 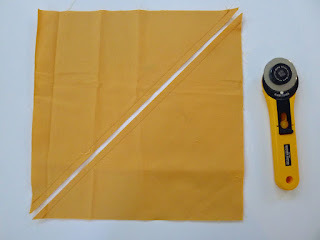 Sew your blocks together with a 1/2 inch seam allowance. 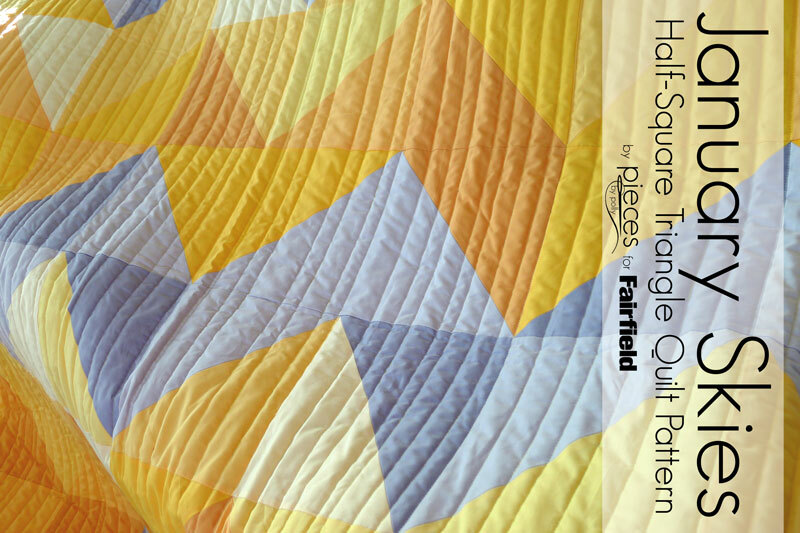 Finish and Quilt according to your personal preference. I made up some extra squares and used them for an accent block on the back of my quilt. 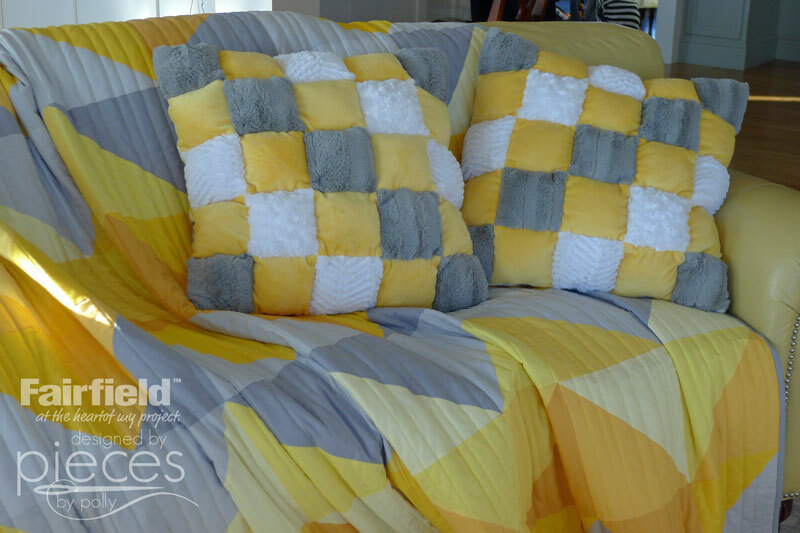 And of course the quilt will feel extra cozy with a couple of Cuddle Puff Throw Pillows to go with them. You can find my tutorial on the Fairfield World Site here. 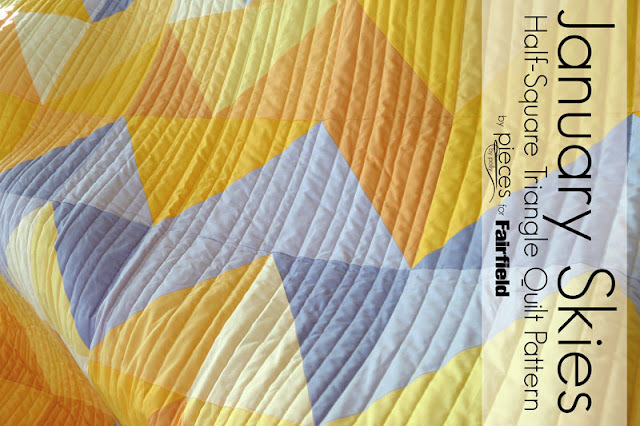 For more free quilt patterns, be sure to see my Quilts Page. I love this pattern! Thanks for sharing. This is such a beautiful quilt! 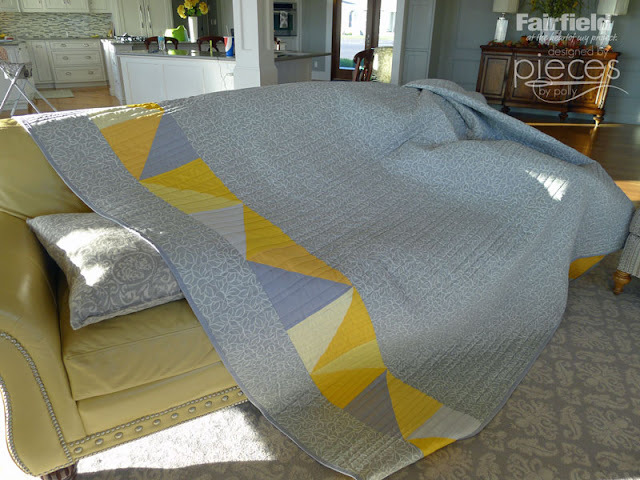 I'd like to know how big the final quilt is please? Thank you!